Because of Profiles, the Toolbox is always changing. 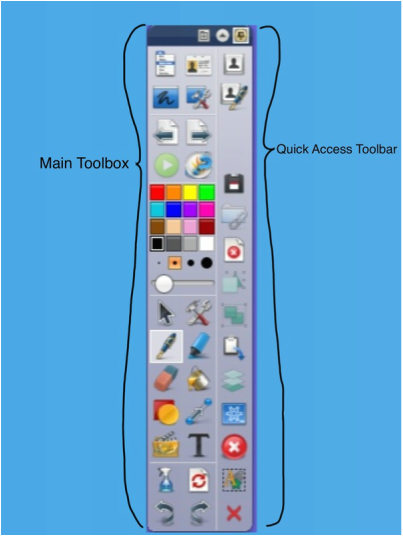 You can also edit the toolbox to be what you want it to be. However, the following diagrams explain what the default or "main" toolbox is. When using the "authoring" profile, the "Quick Access" toolbar shows up. 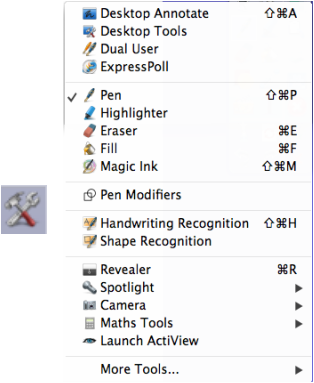 The Tools button is also found on the standard toolbar. As you can see there are a number of tools here that you don't always see. It's great to be able to quickly pull up a list of tools when you can't find the tool you were looking for. 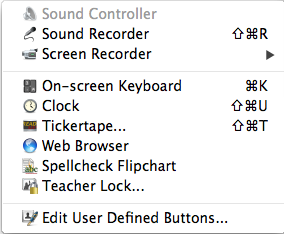 Also useful is the "more tools" option (below). Though the tools you see below are probably less used than the ones on the left. With the pen tool (or highlighter tool) your best friend is the options (which you can see on the left here) where you can quickly change the color and size. Keep in mind that the set of black circles are presets for size, or you can just use the slider. The Shapes Tool opens a sidebar that allows you to choose what shape you want to use, and then you just click and drag (or tap and drag) to create the shape. Next/Previous Page is a quick and easy way to bring up a blank page, or to go to your next page. These 4 buttons are very useful. From left to right, and top to bottom they are clear (which allows you to pick what you want to clear from the page), reset (resets to the last save), undo, redo. These are very useful in any lesson. 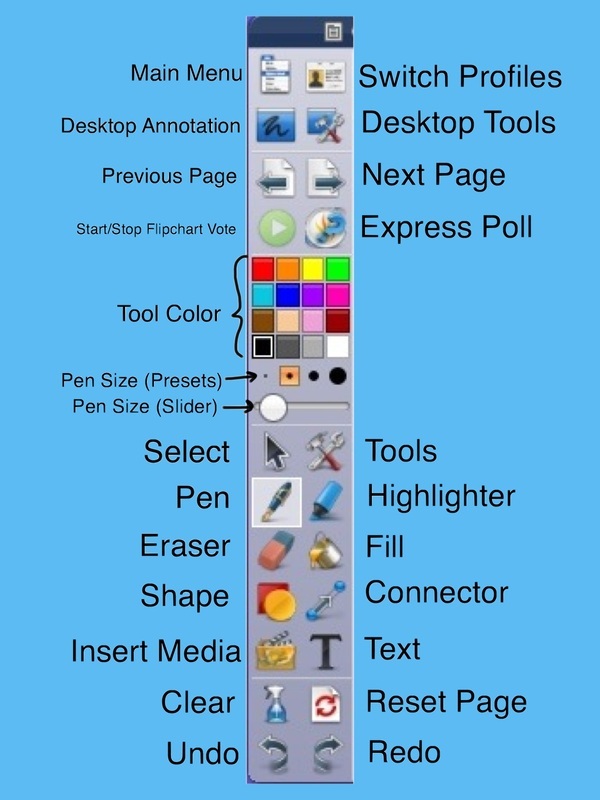 Select Tool...Just drag your finger from a blank spot on your screen over part of anything you want selected, or click/tap anything you have on your page. The following is a 10 Minute Video that covers the "Browsers" in ActivInspire. They are called: Page Browser, Resource Browser, Object Browser, Notes Browser, Property Browser, Action Browser, and Voting Browser.